A growing number of adults and teens are heading to the orthodontist for straighter teeth because with the latest innovative CAD/CAM technology, no one knows they are actually wearing braces. Invisible braces have taken the global orthodontic market by storm and are revolutionizing orthodontic treatment, enabling you to transform your smile discreetly and comfortably, and sometimes quickly! What Is Invisible Braces Treatment? Invisible braces such as Invisalign ® can be used to correct the same issues as regular braces, including crooked teeth or a poor bite, free of the social stigma of traditional braces. Invisalign ® for example uses a series of virtually invisible custom- made plastic aligners to gradually straighten teeth without the need for uncomfortable metal brackets or wires. The transparent plastic aligners are attractive and virtually invisible. Invisalign ® aligners are fabricated using data taken from digital 3D scans of your mouth, so no messy putty impressions are necessary. The manufacturer’s advanced ClinCheck ® software enables your dentist to map out your treatment plan and show you how your smile might look once the treatment is complete. The aligners are removable, so you brush and floss as normal. The treatment process is convenient and allows you to improve your smile without sacrifices to your lifestyle. Your progress is monitored every six weeks instead of four, so you spend less time in the dental chair than someone prescribed traditional braces. Invisalign ® aligners can be removed to eat so you have no restrictions on what you eat and drink. Invisalign ® is safe because there are no protruding wires that can scratch and puncture the soft tissues in your mouth. Metal braces are one of the most effective orthodontic treatment systems, as well as typically being the most affordable. Despite the undeniable benefits of traditional braces, they are declining in popularity due to their aesthetics. Lingual braces provide many of the advantages of traditional braces but are almost invisible because they adhere to the rear surface of the teeth, rather than the front. They can, however, be more challenging to keep clean than standard braces. Invisalign ® is undoubtedly one of the most discreet and convenient orthodontic treatment systems available. 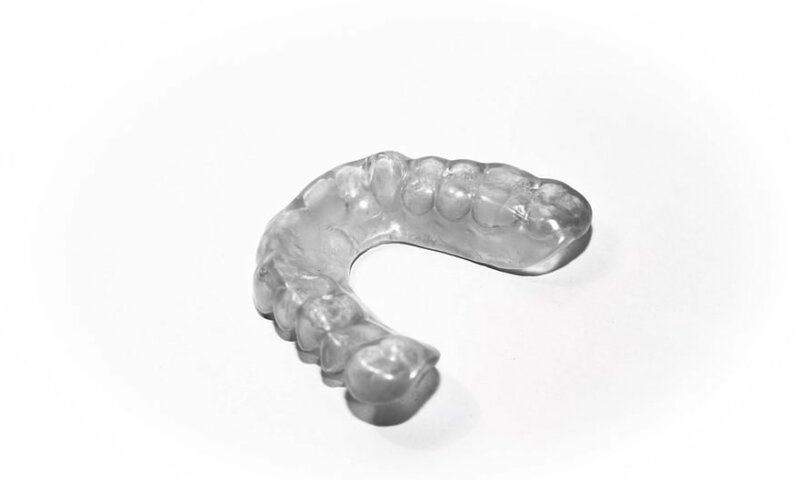 Not only are the custom-fit clear plastic aligners practically invisible, but they are also incredibly comfortable. They can be removed at mealtimes and while brushing and flossing, helping you to maintain your oral health throughout your treatment. Its myriad benefits come at a cost though — Invisalign ® treatment is one of the pricier orthodontic treatment options currently available. Ceramic braces offer much of the same functionality and efficacy as traditional braces but use tooth-coloured ceramic brackets to help them blend in seamlessly with your smile. However, they are less durable than metal braces. Invisible braces like Invisalign ® have made orthodontic treatment accessible to older teens and adults seeking a discreet and convenient option to straighten their teeth. Ask your dentist about your options for invisible braces in Canary Wharf and schedule a consultation to view a simulation of what your smile will look like with straight teeth. The cost of Invisalign ® treatment can vary and is typically more expensive than conventional braces at £2,500-£5,500. The more complex your treatment, the longer it will take and the more it will cost. All patients undergoing orthodontic treatment receive a bespoke treatment plan and schedule, mapping out how many appointments they will need and at what intervals. The upfront cost will cover a set of Invisalign ® aligners, and the more aligners you need, the higher the cost of your treatment. Your dentist can provide you with an estimate of cost at your initial consultation. Most dental practices offer financing options for orthodontics so you can spread the cost of treatment over several months. Invisalign ® offers one of the most advanced, accurate, and effective treatment processes due to its use of modern dental technology. You will have x-rays and 3D scans taken of your mouth. The data will be transferred to the Invisalign ® ClinCheck ® software, which allows the dentist to map out your treatment plan. The aligners are custom-made at the Invisalign ® laboratory. Once you receive your aligners, you will take them home and wear the first in the series 20-22 hours a day for 2 weeks. After 2 weeks, simply swap to the next aligner in the set to continue the treatment. You will attend regular progress checks throughout your treatment so your dentist can monitor your progress. Once you and your dentist are satisfied you have achieved the results you wanted; you will wear a retainer to prevent your teeth from relapsing to their former position. On average, Invisalign ® treatment takes 6-12 months to complete, although patients should begin to see noticeable movement within the first few weeks. Ceramic braces are a fixed system that attaches to the front surface of the teeth. They are more discreet than their metal counterparts, due to the tooth-colored brackets and frosted wires. Ceramic braces can treat more complex cases than Invisalign ® . Ceramic is a brittle material and susceptible to chipping and the brackets can feel rough initially. Invisalign ® is almost completely invisible, as well as being more convenient and hygienic than ceramic braces. Invisalign ® requires discipline and must be worn for 20- 22 hours each day to be effective. Invisalign and ceramic braces are both good treatment options for someone who wants to discreetly straighten their teeth. A consultation with your dentist can help you determine which treatment is best for your situation. Invisalign ® provides many benefits for patients who require orthodontic treatment, with none of the usual practical or aesthetic drawbacks of standard braces. If you would like to know more about invisible braces such as Invisalign ®, schedule an initial consultation with an orthodontic specialist or your dentist.